The 90th annual Singing on the Mountain at Grandfather Mountain will pay tribute to the late Arthur Smith, a legendary country, bluegrass and gospel musician and entertainer who died April 3. 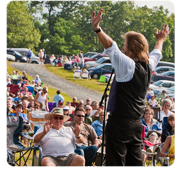 The free gospel music festival, set for Sunday, June 22 at MacRae Meadows in Linville, promises a day of praise, fellowship and tributes to the musician long considered a friend of Grandfather Mountain. Smith and his “Crackerjacks” served as music masters of the event from the 1950s through the early 1980s. He also was a close personal friend of the late Hugh Morton, developer of Grandfather Mountain, and supported Morton’s efforts on various civic causes. “He had a very strong faith and considered being the musical host for the ‘Singing’ to be part of his ministry,” said Harris Prevost, vice president of the Grandfather Mountain Stewardship Foundation. This year’s festival will celebrate that lifelong ministry with music from outstanding gospel groups beginning at 8:30 a.m. and continuing throughout the day, with a break around 1 p.m. for the sermon. The event is informal and the schedule spontaneous. 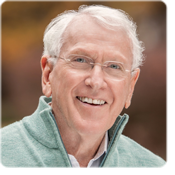 The 2014 speaker will be Leighton Ford, a noted evangelist whose organization, Leighton Ford Ministries, focuses on empowering younger leaders to spread the message of Christ. Ford previously served as vice president of the Billy Graham Evangelistic Association and has shared the Word to millions of people in almost 40 countries. His wife, Jean, is Graham’s youngest sister. Ford has a long association with the Singing on the Mountain, having also served as keynote speaker 25 years ago in 1989 and 45 years ago in 1969. He said his message this year will be built around the words of some of the gospel songs Smith wrote. In addition to knowing and loving Smith, Ford said he and Graham often recorded the popular “Hour of Decision” Christian radio broadcast at Smith’s recording studio in Charlotte. “I do plan to try to include some of Arthur’s songs and thoughts in this, because our faith is a singing faith,” Ford said. “I am not promising to sing, but who knows? I might even break forth into song,” he said with a laugh. 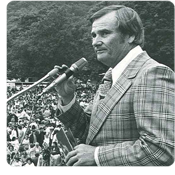 Ford will be introduced by legendary Charlotte television anchor Doug Mayes, who helped Clyde McLean serve as announcer for “The Arthur Smith Show” and will share memories about Smith and his group. The 2014 musical lineup includes a noon tribute to Smith by his son, Clay Smith, and “Brother Ralph” Smith’s sons, Tim and Roddy, offering instrumentals with David Moody of The Moody Brothers. The festival also includes performances by the The Rick Webb Family of Colfax, N.C.; The Sneed Family of Glasgow, Ky.; The Hurleys of Hickory, N.C.; the Bread of Life Quartet from Union County, N.C.; Michael Combs of Todd, N.C.; Patricia Smith of Bluefield, W.Va.; and Ernie Penley of Linville, N.C., who is the great-great-nephew of Singing on the Mountain founder Joe Hartley Sr. Combined, the groups have more than 200 years of Southern gospel music experience. The event concludes with all the featured musicians on stage together performing traditional audience favorites. The spirit of the Singing is not so different than the first held in 1924, when Hartley coordinated a Sunday School picnic on the same grounds. The festival’s popularity exploded in the 1960s and ’70s, drawing such names as Johnny Cash, Roy Acuff and Bob Hope. Prevost said it was Smith who was responsible for inviting his “friends” Johnny and June Carter Cash in 1974 to sing for free, as well as helping to bring the Rev. Billy Graham to speak in 1962. Smith himself served as speaker in 1991. “Through his connections, Arthur brought in many great speakers and performers to help make the Singing the event it is today,” Prevost said. Today, the Singing is recognized by the North Carolina Arts Council and Blue Ridge National Heritage Area as part of the Blue Ridge Music Trails of North Carolina and is the oldest ongoing old-time gospel convention remaining in the Southern Appalachians. Parking (including handicapped) is available at MacRae Meadows, located on U.S. 221 in Linville, two miles south of the Blue Ridge Parkway at Milepost 305. Attendees are encouraged to dress casually and bring lawn chairs, blankets and picnics, and concessionaires and merchandise vendors will be on site. A goodwill offering will be collected to support the musicians who volunteer their time to perform. Camping (no RV hookups) is permitted on the MacRae Meadows field on a first come, first served basis starting the Monday preceding the event. The event is held rain or shine. Call (828) 733-2013 or visit grandfathermtn-staging.v38mw8dg-liquidwebsites.com/events/90th-annual-singing-on-the-mountain for more information.